Twitter, 9/11, Ferdinand, Rooney and Barton – a good mix? Thomas Gaunt of the We Heart Football blog gives his thoughts on Twitter in football. Thomas Gaunt previews big spender Manchester City ahead of the new season. Having just spent more money on Sergio Aguero, can they improve on last season’s second place? Today Thomas Gaunt previews Aston Villa, who must start all over again this season under new manager Alex McLeish, and without widemen Ashley Young and Stewart Downing. Carlos Tevez may be about to leave Manchester City, but Thomas Gaunt believes they can flourish without their talisman of the past two seasons. Tom Gaunt compares International football with the domestic game and some of the integral differences which are affecting modern day players and England in particular. 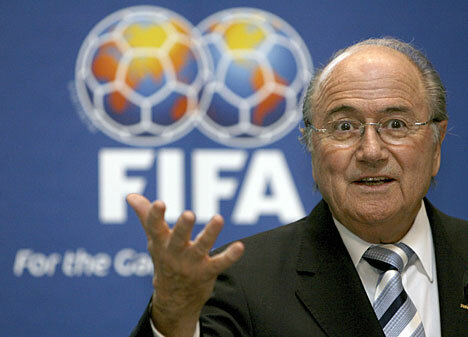 Actions off the pitch have taken centre stage this week with FIFA President Sepp Blatter denying allegations of corruption, much to the scoffed amusement of Thomas Gaunt. Liverpool v Spurs: who will be left holding the poisoned chalice? As both teams gear up for this weekend’s show down and a probable place in next season’s Europa League, Thomas Gaunt takes a look at the pro’s and con’s of winning this match and the glory or burden it could bestow upon the victor. Following Chelsea’s poor showing at Old Trafford on Sunday, Thomas Gaunt looks at the future for what is an aging squad.